Finally, get absolute clarity on exactly what your next steps should be to explode your online success! Introducing the Traffic Boost Mini-Audit! ​Quickly get to the heart of exactly what changes are needed for your site so that your site has a steady stream of traffic, leads and sales, even while you sleep! "I was amazed at the amount of useful and actionable information that Kathy provided. Really helpful!" Is your message getting lost in the noise? Does your traffic look like the stock chart of Enron, no matter what you do? Do you know exactly which digital marketing strategy or tactic is the perfect fit for your business? Are you chasing after keywords that you are not ranking for? The Traffic Boost Mini-Audit will identify any crippling issues with your website that has been scaring search bots and users away. I love writing tags and headlines! I'll reword them for 2 of your key pages so that your ideal customer stays and engages with your website. Overwhelmed by all the digital marketing strategy choices you have in front of you? You'll learn which strategy is a fit for your business. Get the Traffic Boost Mini-Audit ! Identify major issues with your website, get your messaging right and know precisely what are your next digital marketing steps you need to take for your business. Only $497! "I'm just not getting any traffic from Google. People think my site looks good but I don't rank for ANY terms, even for my business name." 5 minutes later I found the problem. Her domain had been set up incorrectly so that every single page had the same URL. To understand why that is a big problem it means that to Google it looks like there is only one page on the site. It’s like telling the postman all the mail goes to one house in a subdivision of hundred houses. "I learned so much from her. She really knows her stuff." "Kathy is amazing! I did not know much about SEO so Kathy began from the beginning to help us understand key SEO principles. Unlike other consultants that I have worked with, Kathy was very good at teaching us the concepts and principles behind the suggestions she was making. I learned so much from her. She really knows her stuff." 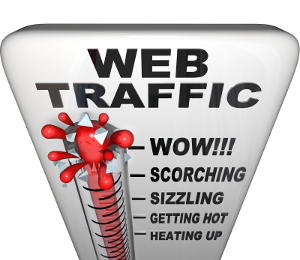 Find out exactly how to get a traffic boost to your site! You fill out a one page questionnaire and send it to me. You add me as a user to your Google Analytics and Google Search Console (if you have one set up). I meet with you for 90 minutes and we walk through the completed Traffic Boost 3 step Mini-Audit. You get a PDF with a checklist of action items. "Amazed at the amount of useful and actionable information"
"Kathy did a mini SEO audit of my site and I was amazed at the amount of useful and actionable information that she provided. She took the time to explain it all to me and I found it really helpful. She really knows her stuff." Get the Traffic Boost Mini-Audit now! Find those lurking problems that is chasing both the search spiders and your visitors away. Get your messaging on point and get clear on your digital marketing next steps!